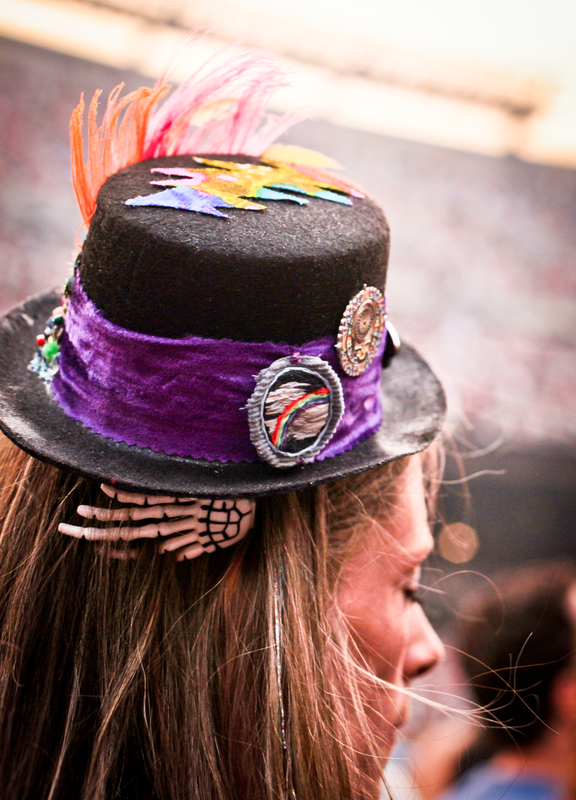 A quiet moment for this concert-attender while at the Grateful Dead’s Fare Thee Well show in Chicago. I was looking at her hat, which was cool because 1. She made it herself. 2. It’s a top hat. I’m bringing back top hats. Have you ever seen how awesome Marlene Dietrich looks in a top hat? Granted she’s usually smoking but whatever. Not the point. But besides her lovely hat there’s that serene expression on her face. She’s feeling the music by shutting out everything visual.